Located in Chandni Chowk, Chunnamal Haveli is the only remaining and preserved haveli in Old Delhi. It was the haveli of the Khatri merchants from the mughal era, Lala Chunnamal and his family. Chunnamals were textile and brocade merchants and Lala Chunnamal was the Municipal commissioner of the first Delhi municipality formed in 1862. After the sepoy mutiny of 1857, Lala Chunnamal became one of the richest persons in Delhi and that is quite evident from the Belgium mirrors, the large courtyard within the building and beautiful interior artworks that has been maintained till this day. Chunnamal Haveli covers an area of one acre and has three floors that incorporate the 128 rooms in the haveli. 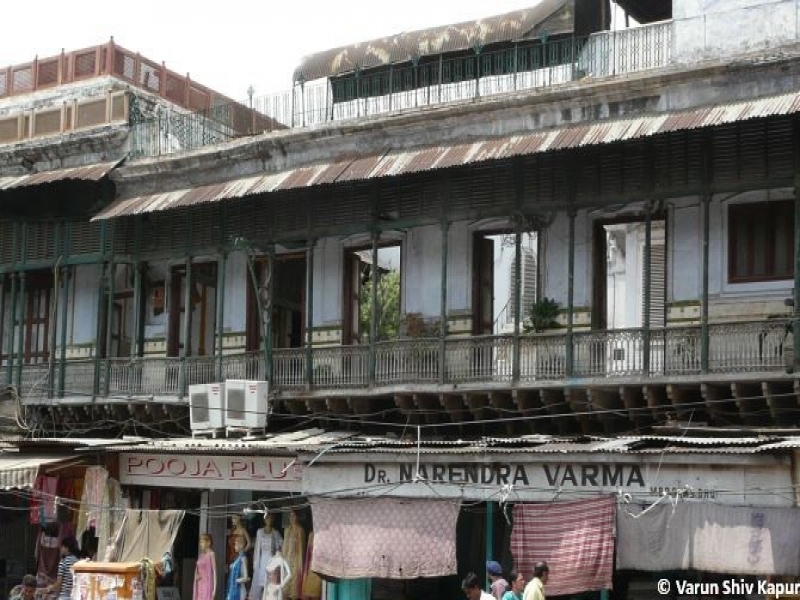 The haveli’s terrace offers a great view of the Chandni Chowk area and it can be seen that 139 shops surround the haveli. An inscription on the drawing room wall states that the haveli was built in 1848 while it is known that some parts of it were built in 1864. The descendents of Lala Chunnamal still live in this haveli. Been to Chunnamal Haveli ? Share your experiences!